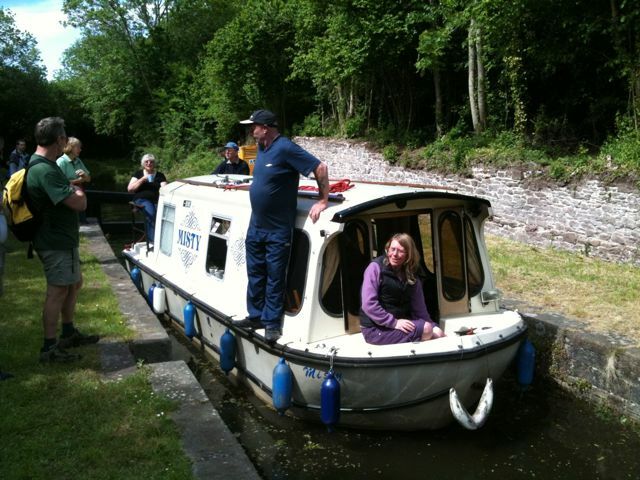 Another Whitsun bank holiday means another IWA trailboat festival, this time as a part of the Welsh Waterways Festival at Kimberly Park, Malpas just off jcn 26 of the M4 at Newport, South Wales. 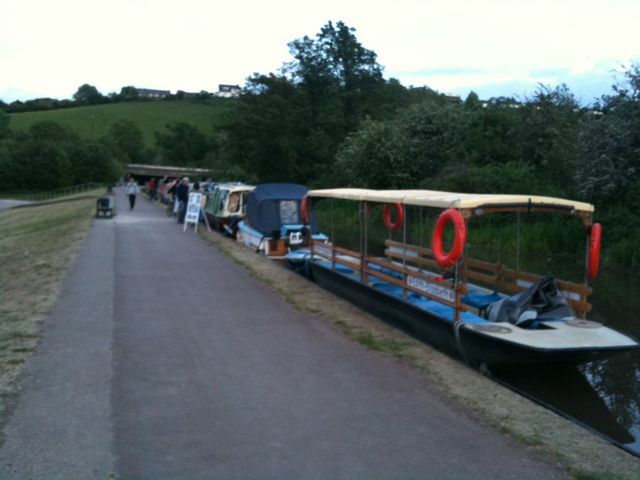 By nightfall on Friday 28th May there were 19 boats at the festival site. These had all launched using the new slipway built on the site of the old temporary one at Bettws Lane. This is just beside the newly rebuilt to accommodate navigation, Bettws Lane bridge and the Malpas lock restored a little while ago. The new slipway allowed Wilderness boats to launch with little difficulty but deeper drafted boats had difficulties due to the low water levels in the pound, which despite back pumping, was rather silted up and shallow. 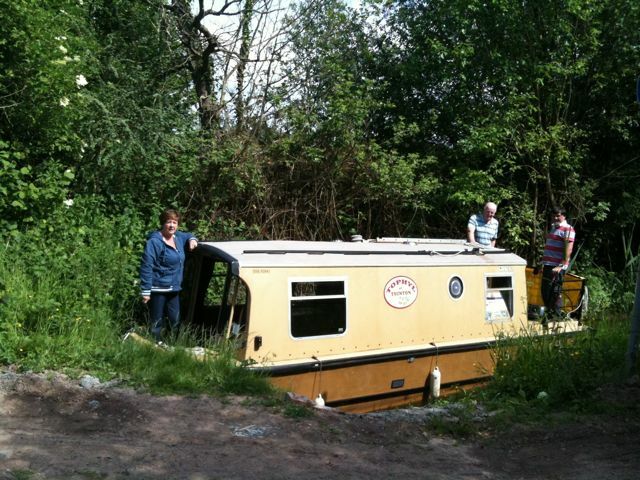 After launching, we moved the car and trailer to the festival site before moving the boat. Which, because we were late and only a few spaces were left, required some accurate reversing to get the trailer into a tight space. 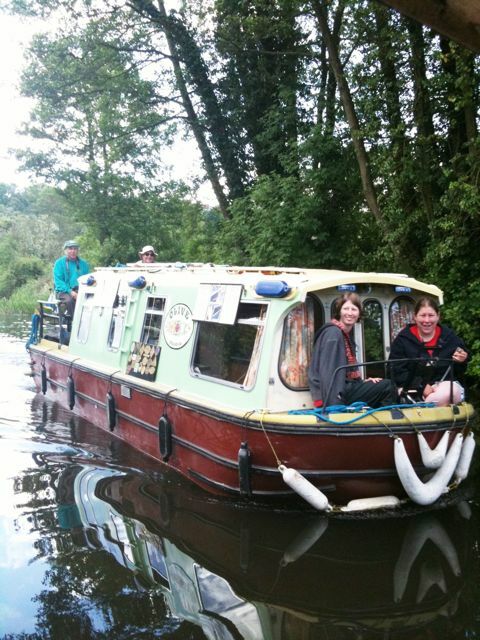 Having navigated the shallow pound and picking up a variety of plastic, fabric and weed, even though the engine was partially tilted up, passage through the lock was quick and uneventful with the help of some gongoozlers. Arriving at the site, first port of call was to fill with water, which like previous years was taken from a nearby sheltered housing complex. Then to select a mooring. Question? 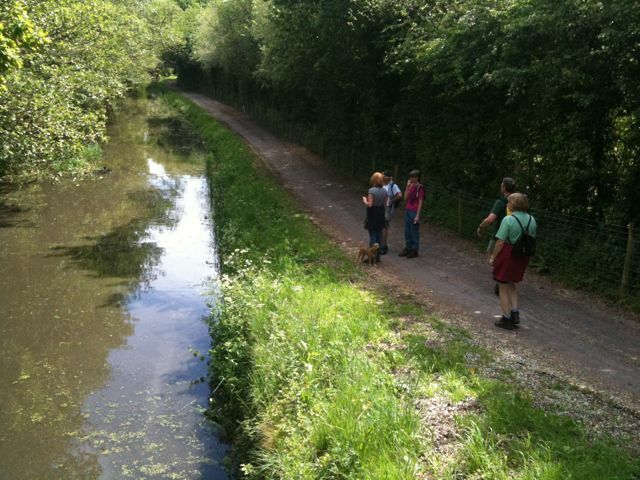 Down near the motorway with a view of the site but noisy or up nearer the lock with no view. We chose the quieter option! It was now nearly 9.30pm so we had something quick to eat and then down to join friends we haven’t seen for a while, some beer to drink and to listen to the band. Who were good by the way. Sitting there, someone captures what you are thinking. Why do we all spend so much money and energy overcoming trailing, boating and navigation difficulties coming to events like this? And then when you sit with friends you have built up over the years and meet new ones and discuss boating, trips and family events that have taken place since you last saw them, it all becomes clear and very well worth it. And the beer was good too! Then the band finishes so its off to bed. Wake to the sound of rain beating on the roof. Forecast is for it to brighten up for lunchtime. 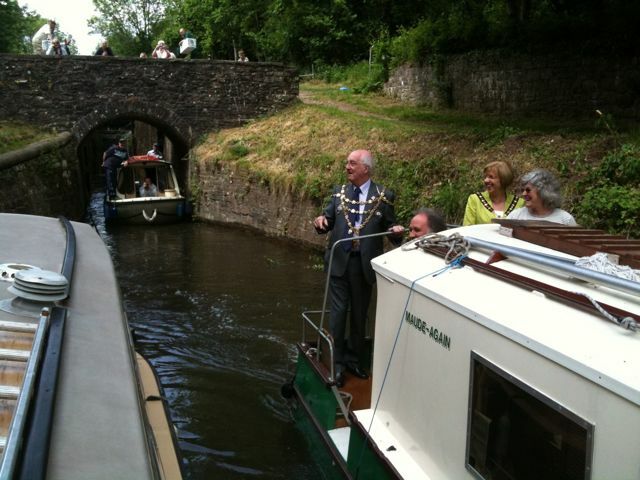 As we lie in bed, we hear the sounds of two boats Arwyn and Olive cruising past in the rain as they go up to Bettws Lane to collect the dignitaries, the Mayors of Torfaen and Newport plus their deputies. Later as the rain continued to fall they returned to the site. At 11am the deputy Mayor of Newport, Councillor Margaret Cornelius, performed the opening ceremony and was thanked by the IWA chairman Bernard Hendersen. 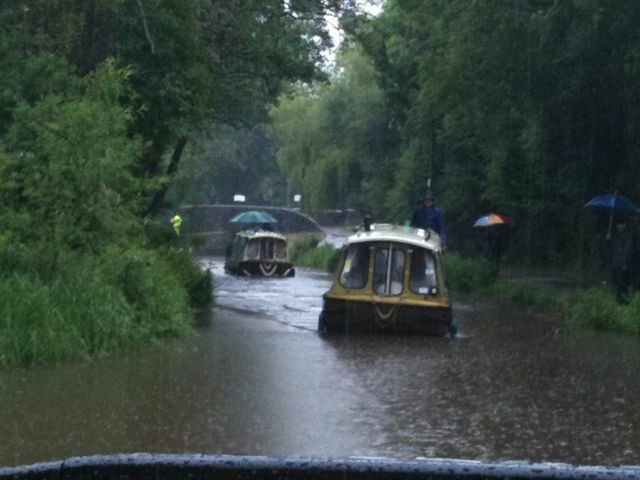 By lunchtime the rain had stopped, boat trips were running and people were walking up and down the towpath. This is more like it. Time to get the bunting out. Nope it has been decided that it’s time to walk up to the Fourteen Locks centre, which not surprisingly is at the top of 14 locks. And not surprisingly it starts to rain as we start out! 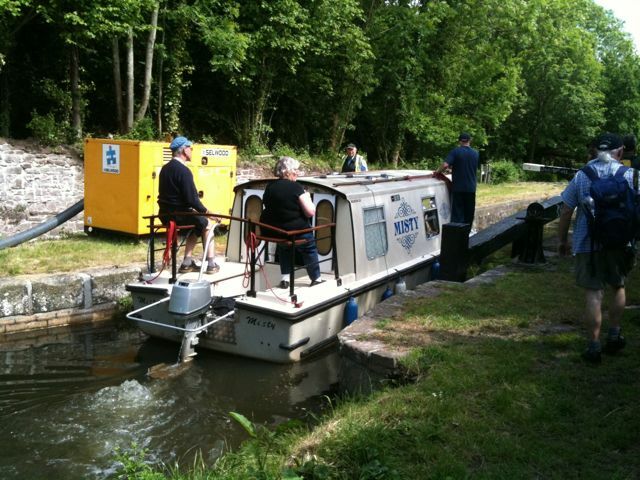 Navi and crew is just starting to navigate towards Newport after passing under the M4, as we crossed the canal towards the bottom lock of the 14 which was restored a few years ago. No water above it though and whilst we navigated into this lock the last time we were here, reeds and weeds meant that, as the picture shows, it was not possible this time. It took us around 45 minutes to get to the cafe at the top and 30 minutes back down again. The centre at the top has a good and interesting display about the canal and knowledgeable staff and a cafe with a good cup of tea. 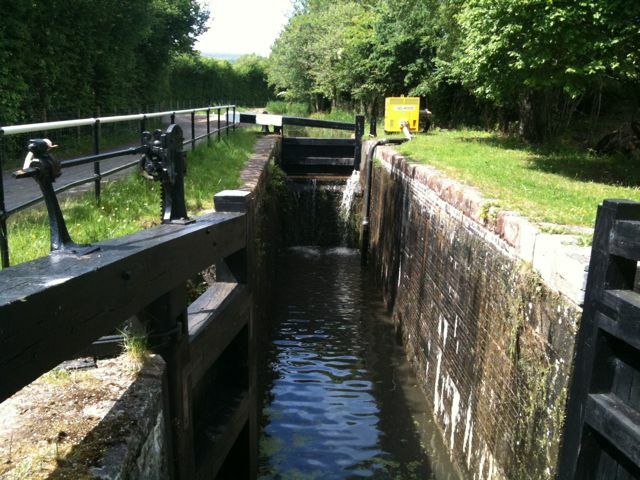 The top few locks are at present being restored with money from the Heritage Lottery fund. Hopefully more will be funded when these are complete. 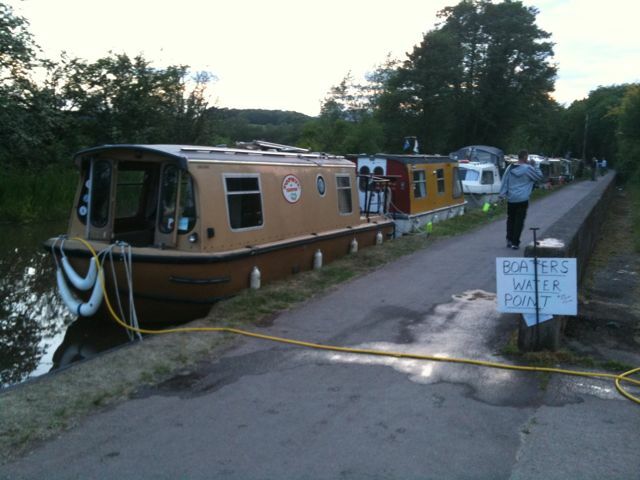 When we got back a couple more boats had arrived including Haricot, a “new” Beaver and members without boats were arriving for the next item on the agenda, at 6pm the WBOC AGM followed at 6.30 by a Hog Roast. So the meeting won’t take long then!! 28 members attended the AGM where the committee reports were accepted, the committee were re-elected and club moneys were discussed. 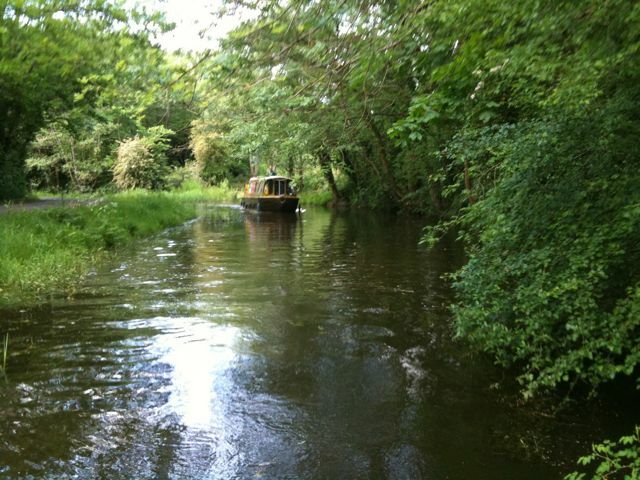 A donation of £500 was committed to the Wey & Arun trust for a slipway. Alison and Bill Perry were awarded the top trophy for assistance in making a case to BW for the retention of the Explorer licence. Helen Huish was awarded the bottom trophy for services in testing the evacuation procedures of a local college that prints the WBOC magazine. Following the AGM, people attending the event were entertained by a band and had the opportunity to partake in a hog roast and pancake puddings…..and more beer! Today has dawned with the birds tweeting merrily at the sunshine. People are up and about. 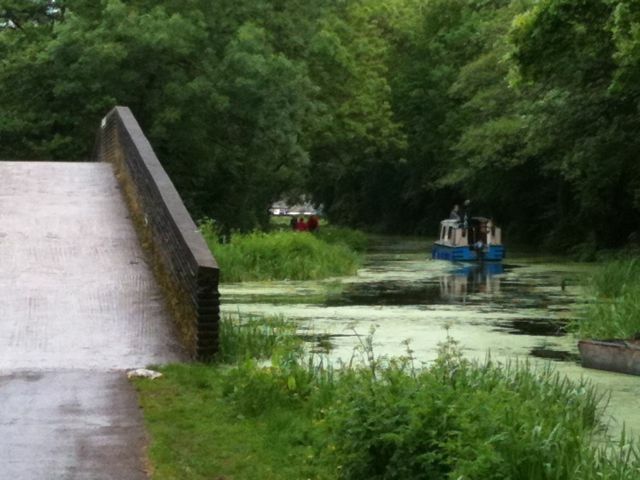 Boats Olive and Navi are off early at about 10am to explore the extent of navigation towards Brecon. 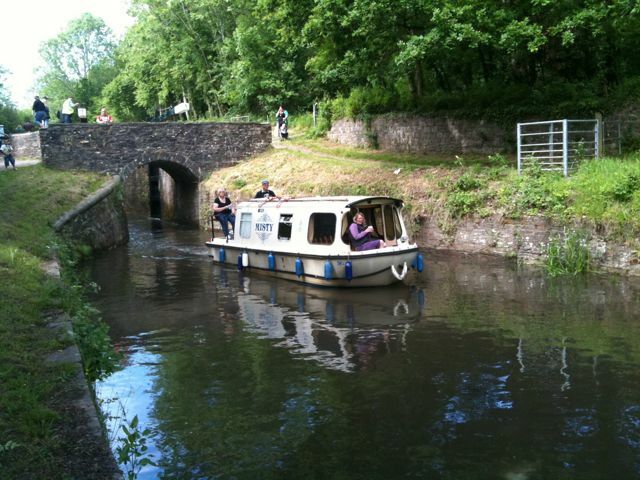 This is a length of around 2 miles to Pentre Lane and includes Malpas, Ty Fynnon and Tamplin locks. A new experience to those attending the festival only made possible by the rebuilding of the low road bridge at Bettws Lane. They had a successful trip and so did others during the day. 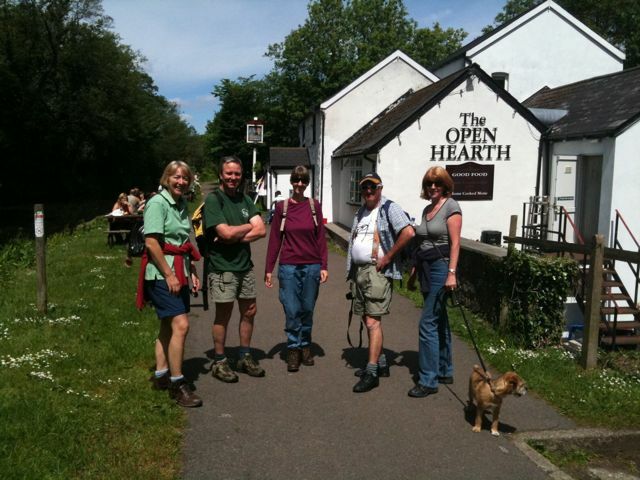 Six of us got a lift with a friendly Waterways Recovery Group mini bus to Pontypool and after lunch in the Open Hearth pub, next to the Brecon navigable section above five locks, we walked the five odd miles of the canal back to the festival site. At least it was all downhill! On the way down, we passed Misty that had got to the head of present navigation and was on the way back down and Elidor on the way up. For the event, every lock had a temporary pump, pumping water from the pound below the lock back up into pound above the lock (sometimes known as backwatering). We eventually got back to the festival site and a welcome cup of tea and a piece of cake. The site had been very busy all day with lots of visitors. The evening was clear and this caused the illuminated cruise to be postponed until 9.45pm as it was too light to hold before then. During the illuminations, the majority of boats were moving within the constraints of the site and very impressive they looked too. It was a shame that there were not more people to see it. Another fine day. 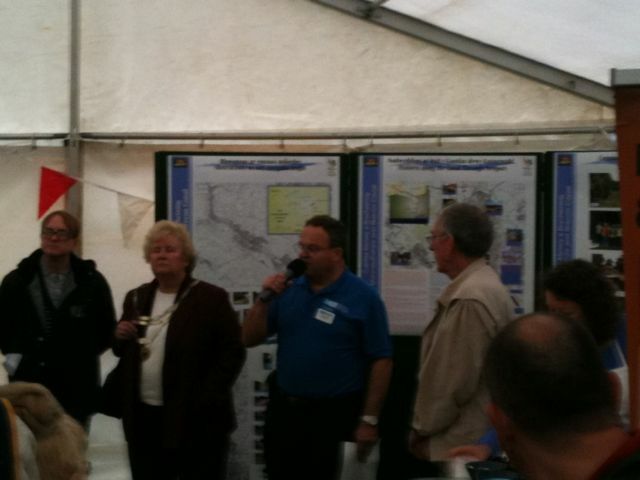 At 11am the award ceremony took place for the boaters who have taken part in various events and competitions both in trailing to the event and at the event itself. 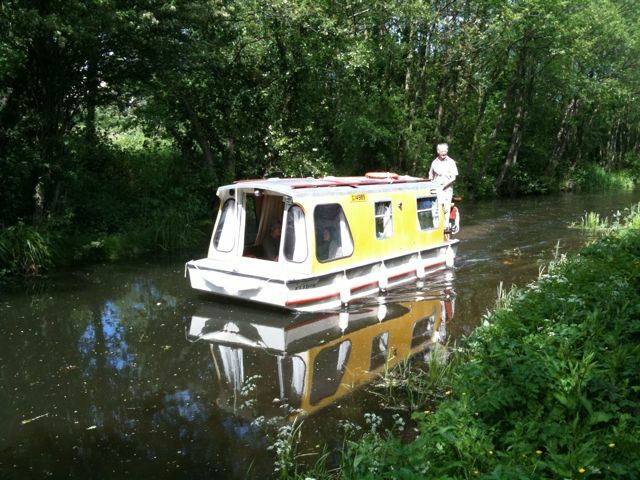 Tophyl left at 1pm with Arwyn to pass up through 4 locks to the present limit of navigation at Pentre Lane. 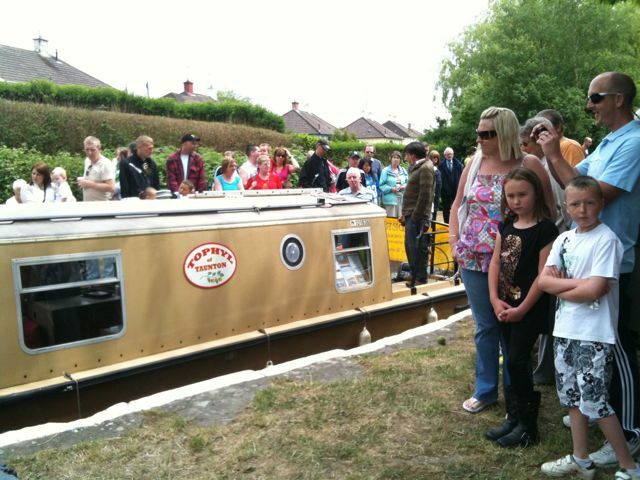 The first lock was very busy with gongoozlers. We waited below Malpas Lock for two boats Misty and a self built boat Maude Again, which had left earlier in the day to go Pentre Lane to wait for the Mayor’s party, to arrive. The trip was interesting and passed through some delightful countryside to reach and touch the present obstruction to navigation Pentre Lane. As expected we did seem to pickup a few plastic bags and I collected the biggest item I have ever had attached to my propeller, a upholstered arm chair complete with cushions but considering these pounds were only open for the weekend, the canal was remarkably clear! 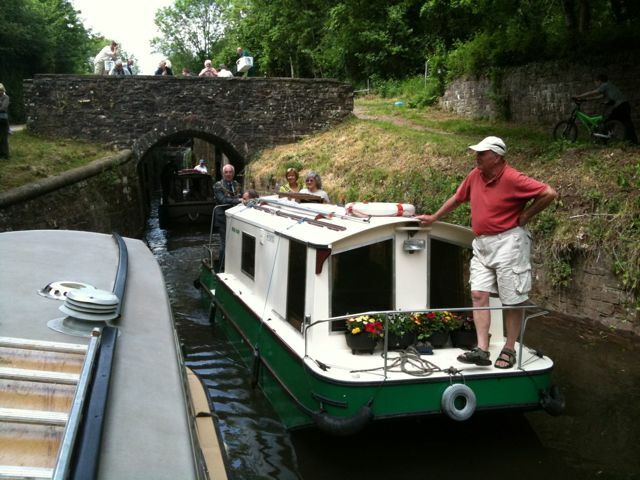 These two boats were the last to reach the top during the weekend, hopefully it will not be 75 years before boats navigate right through to 5 locks and on to Brecon. 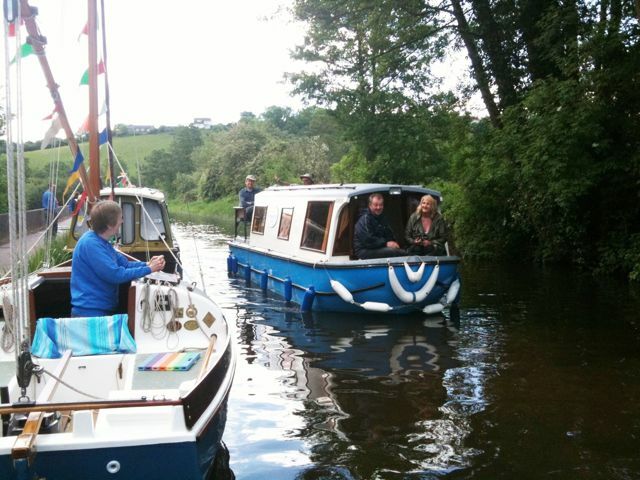 We returned to the slipway and with a number of other boats pulled out, leaving around 5 boats at the festival site at the end of Bank Holiday Monday. Another busy day on site due to the good weather. 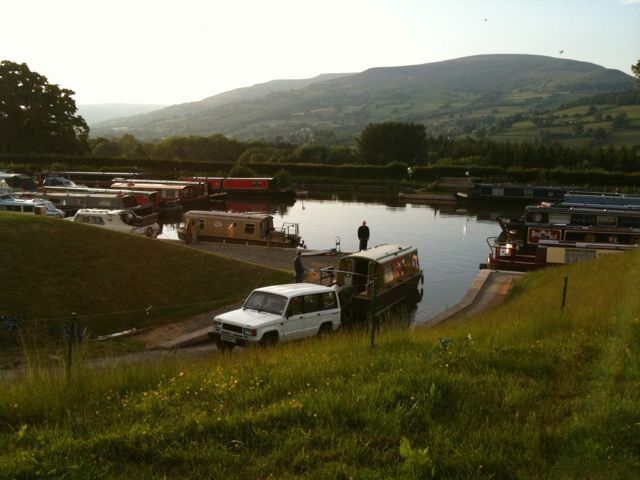 A number of boats then transferred onto the 40 mile navigable Brecon section, with some launching at the new Heron’s Rest marina which has a stunning mountain range backdrop. 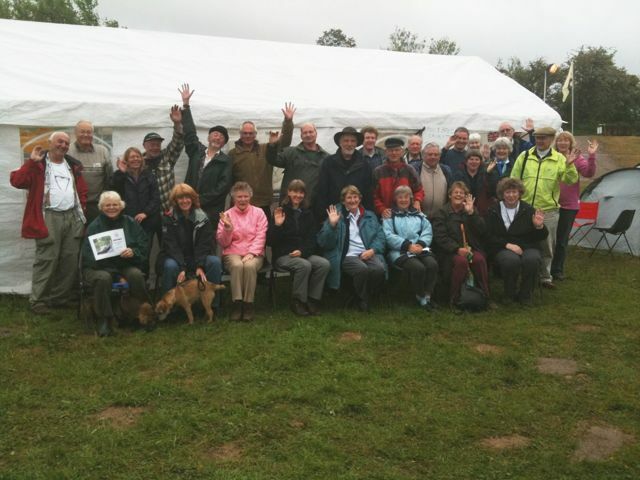 This was hopefully a successful event for the organisers with pretty good weather and good attendance on the Sunday and Monday, which gave them the platform to again push the authorities for further restoration funding and hopefully allowed them to cover their costs. 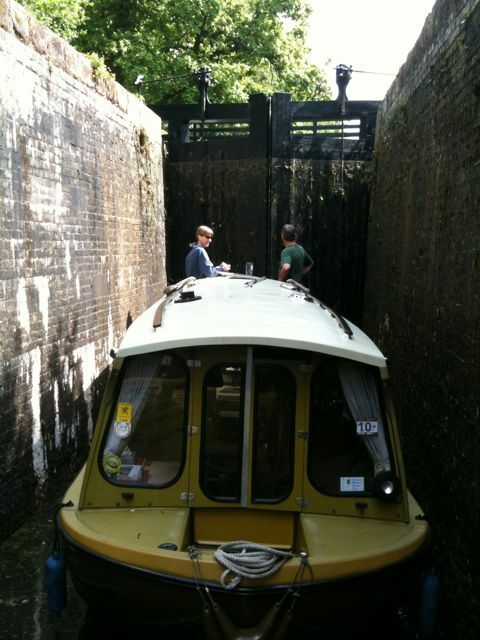 From a boaters point of view it was good to see that progress had been made to open more locks and some boats had the opportunity to navigate a 2 mile stretch of canal that had not seen boats on it for 75 years. The 14 lock centre and the work they do in educating the people in the area is great. 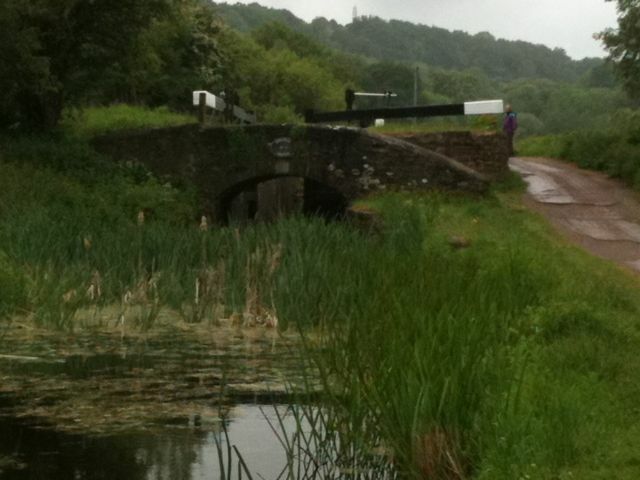 It is good to see a further 4 locks being restored at this time. 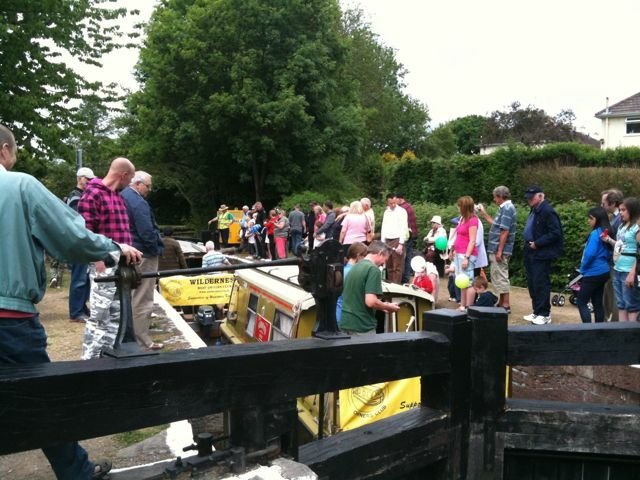 The temporary backwatering pumps allowed boats to sail from lock to lock, but the busy pound with the slipway in it, struggled at times to cope. This pound is in bad need a good dredge. The welcome we received from the organisers was sincere and they worked hard to ensure our needs were catered for. Chris Morgan and his team, the Waterways Recovery Group and Newport council are to be congratulated for the work that they put into the event. Thanks.